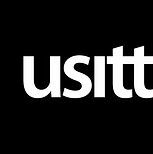 Visit BMI Supply at the USITT 2019 Conference in Louisville! The exciting Stage Expo takes place Thursday March 21st through Saturday March 23rd. We will be in Booth 709 showing off a wide variety of gear, some old and some new! All of us love the opportunity to meet customers face-to-face, so be sure to stop by for a chat. Be sure to get there early on Thursday to get your hands on the sought-after BMI Swag! You can learn more about the show at www.usittshow.com.